The illustrations in The Little Reindeer are stunning. Add to that cutouts as well as metallic ink, and I'm sold! Christmas Farm tells all about how Christmas trees are grown and come to be. In the Wish Tree, a little boy has a sled named Boggin... enough said! Over the River & Through the Woods shows a fun array of different transportation as well as the different types of families out there. Each of these books gets plenty of love in our house! Now tell me, what books do I need to add to our collection?! Bonus points for beautiful illustrations, and I always love a good rhyming book! The Jolly Christmas Postman is still one of my all time favorites from when I was a kid. P has mine from when I was little. Our new favorite it Pick a Pine Tree (so cute!) but also love Little Blue Truck Needs a Christmas Tree. The lights at the end are an added bonus! some great books.. i'm hoping to hit the library soon and stock up on wintery books. Pick a Pine Tree has been in my Amazon cart for days! Glad it has a good rec! 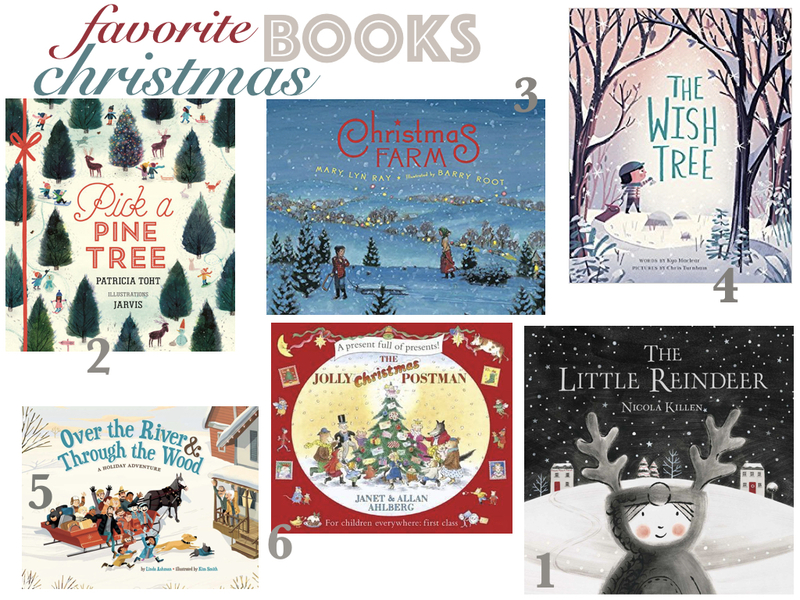 We have so many holiday/seasonal books, too, and I LOVE THEM! However, none of these are in our library! Adding a few to the cart ASAP. Wow, I don't think I've read any of these books. Thank you for sharing. We love bringing out the Christmas book collection at our house, too.